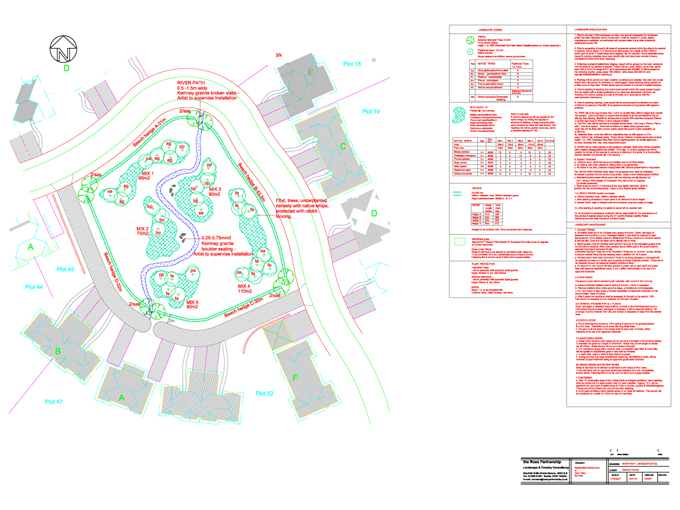 For this commission Mary worked with Deveron Homes, their landscape architect and pupils at Alehouswells Primary School, Kemnay, to produce a scheme for a green area at the heart of a new housing development. 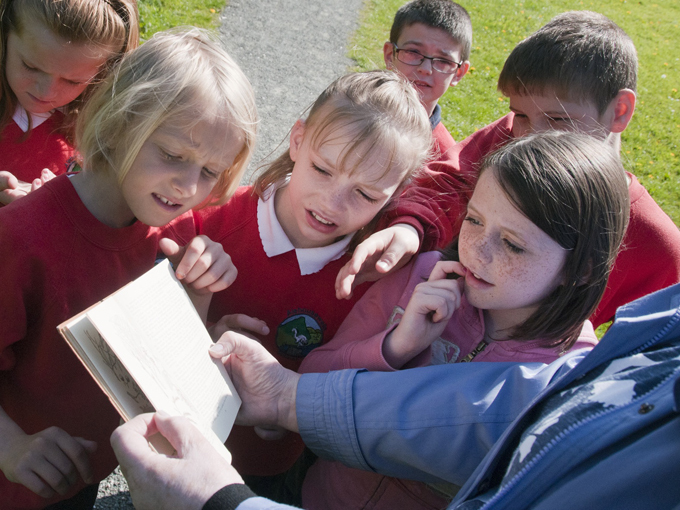 Visit with pupils to River Don to identify tree and shrub species that grow along its banks, to inform landscape design (Mary Bourne and Deveron Homes representative). 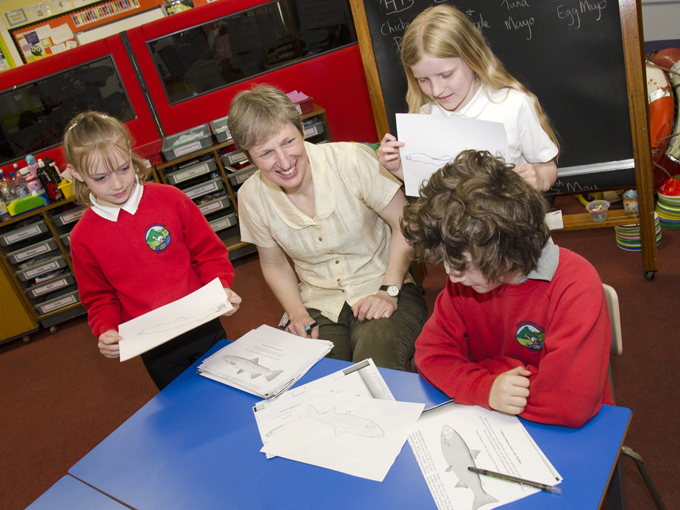 Session with pupils drawing animal species that live in the river (Mary Bourne). 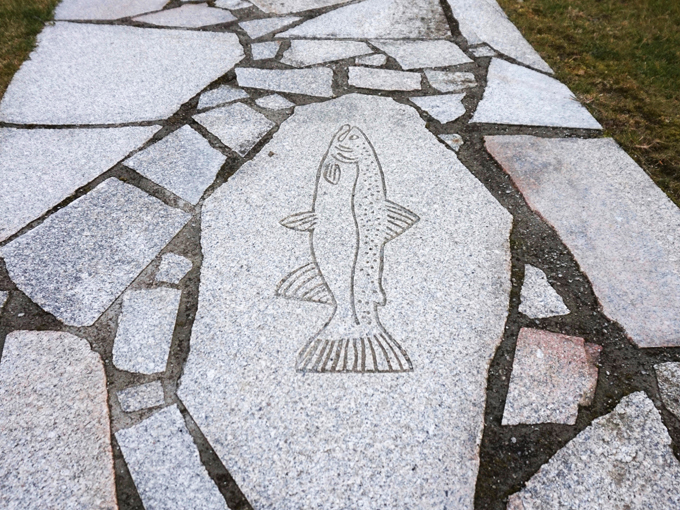 Design scheme incorporating a local silver granite path in the shape of the River Don, sandblasted animals, granite boulders and planting of species identified by children (Mary Bourne/Ross Partnership Landscape Design). 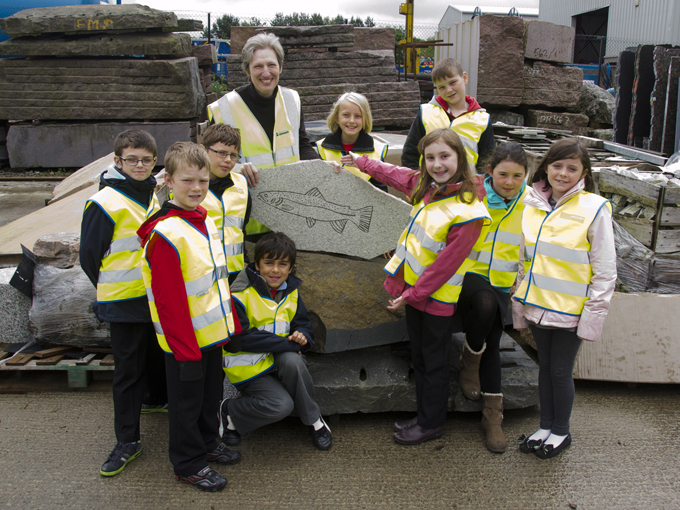 Visit by children to local stone works to see their drawings being sandblasted and to learn about the stone industry. 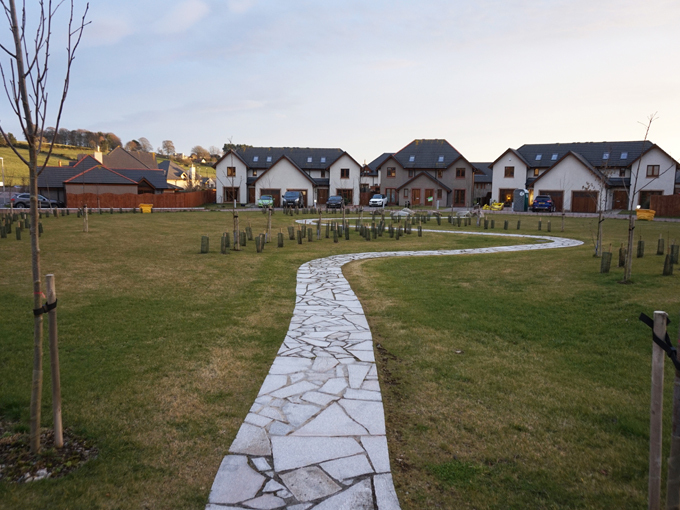 (Mary Bourne and Deveron Homes representative).